Rabbits & Co became one of the largest shoe manufacturers in the world. Edward Harris Rabbits (1818 – 1874) of Frome, Somerset, emigrated to Newington, London, and established himself as a shoe maker and retailer with a half crown he had borrowed. His factory was at the Elephant Buildings, Newington Butts. Rabbits was a argumentative and characterful man. Tired of the formality of the Wesleyan church, he became a Methodist Reformer and later became a dedicated member of the evangelical Methodist New Connexion. Rabbits met William Booth, a penniless yet gifted Methodist preacher, in 1850. He would provide financial support for Booth, who he encouraged to continue as a preacher, and introduced him to his future wife, Catherine Mumford. Booth went on to found the Salvation Army in 1865. E H Rabbits employed 90 men and 85 women by 1851. E H Rabbits had multiple retail branches by 1856. 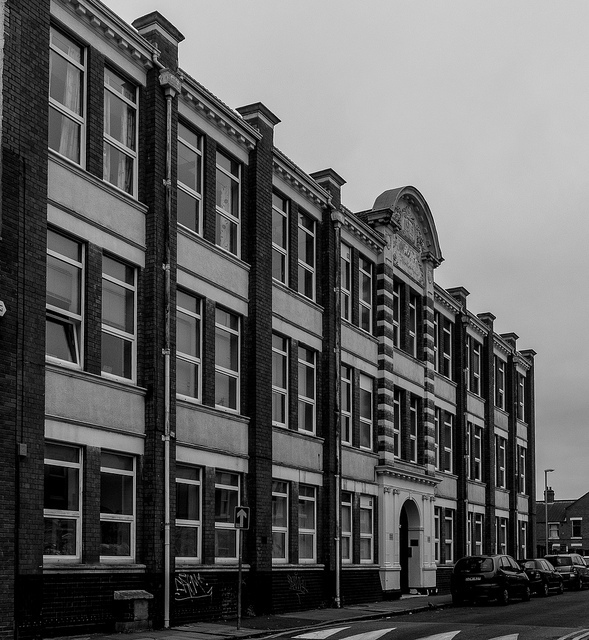 The E H Rabbits shoe factory was described as one of the largest in the world in 1861. With a height of 68 feet, it was one of the tallest industrial buildings in London. The warehouse constantly employed nearly 400 people. Well-heated and well-lit, it also contained a sixty foot-long lecture hall for the discussion of religion and philanthropy. E H Rabbits died in 1874. He had been a keen donor to religious and philanthropic causes throughout his life. The business passed to his brother, William Rabbits (1827 – 1878), who was also a boot maker with a factory at St Thomas’s Works, Whites Grounds, Bermondsey. The firm was renamed Rabbits & Sons. Rabbits died in 1878 and the firm was run by his executors until 1880, when it was taken over in partnership by his sons, William Thomas (1847 – 1908) and Charles Joseph Whittuck Rabbits (1854 – 1901). By this time the firm had 18 retail outlets across London. William Thomas Rabbits left the partnership in 1887, likely due to ill health, and Charles Rabbits became sole proprietor. Charles Rabbits died in 1901, with a gross estate valued at £321,179. Rabbits & Sons was acquired by Freeman Hardy & Willis, a larger shoe retail chain, in 1903. The Elephant Buildings at Newington Butts had become an engineering store by 1909. George Oliver was the largest retailer of shoes and boots in the world. George Oliver (1836 – 1896) began life in humble circumstances. He was apprenticed to a cordwainer (shoemaker) in his native Barrow upon Soar, Leicestershire. Oliver opened a shop in Willenhall, Staffordshire in 1860. He employed three men by 1861. He opened another shop with his brother Charles (1845 – 1897) in nearby Neath in 1868. Additional shops soon followed. Oliver established a shoe factory in Wolverhampton in 1869, but sold it to concentrate on his retail business in 1875. A distribution warehouse was established in Leicester. Oliver employed twelve men in 1881. By 1889 there were over 100 shops, located in the more densely populated parts of Britain. Oliver had one of the largest shoe retail businesses in Britain by 1896. George Oliver had a shrewd mind and a keen business sense. His rugged exterior and brusque manner disguised a kindly personality. A keen Conservative and Freemason, he was a retiring man, renowned in Leicester for his generosity. He died from a sudden haemorrhage or stroke in 1896. George Oliver was succeeded in the management of the business by his brother Charles. A buoyant man with a genial temperament, he too died of a sudden haemorrhage or stroke the following year. Management of the business was taken over by George Oliver’s son, Charles Frederick Oliver (1868 – 1939). In 1897 George Oliver advertised itself as the largest retailer of boots and shoes in the world, with 140 branches. Between 1915 and 1918 the firm claimed to be the largest footwear retailer in the world. Charles Frederick Oliver was created a knight in 1933. George Carter Oliver (1864 – 1935), a director of the firm and a son of George Oliver, died in 1935 with an estate valued at £158,206. George Oliver was incorporated as a private company in 1936. Sir Charles Frederick Oliver died in 1939, with a gross estate valued at £125,047. He was succeeded by his sons, Frederick Ernest Oliver (1900 – 1994) and Claude Danolds Oliver (1904 – 1987) as joint managing directors. The family sold 36 percent of the company to the banking firm Robert Benson Lonsdale & Co in 1950 in order to pay the death duties of Lady Oliver. George Oliver went public with a fully-paid share capital of £450,000 in 1954. Frederick Ernest Oliver was chairman. The business sold medium-priced footwear and hosiery for men, women and children. There were 111 branches, including 63 in England, principally in the South and West, and 48 in Wales. There were around 580 employees. Headquarters were at 18 Charles Street, Leicester. F E Oliver was a modest, humble man. He retired from George Oliver in 1973. With both firms suffering from the recession, George Oliver acquired Hiltons Footwear, a retail firm, for £9.8 million in 1981. Oliver had 130 branches and Hilton had 189, but only 25 overlapped. Oliver then sold and leased back 14 properties for £7.8 million to an investment group to fund the acquisition. George Oliver had 1.7 percent of the British shoe retail market in 1986. Timpson Shoes, with 228 shops. was acquired for £15 million in 1987. This doubled Oliver in size and created the third largest footwear retailing chain in Britain, with around 500 shops. The Timpson shoe shops were mostly located in Lancashire, Scotland, Teesside and Yorkshire, and only overlapped with Oliver in 30 locations. However they were not particularly profitable at the time of takeover. George Oliver (now renamed the Oliver Group) acquired Frame Express, a London-based picture framing chain with 16 outlets for £1.8 million in 1989. No members of the Oliver family worked at the Oliver Group by 1994. The loss-making Oliver Group, with 258 stores, was acquired by Shoe Zone of Leicester in 2000 for £6.1 million. The Oliver, Timpson and Olivers Timpson names were replaced by the Shoe Zone brand. Loss-making outlets were closed and new stores were opened in low-rent locations. Stead, Simpson & Nephews was the largest footwear manufacturer in the world. Edmund Stead (1803 – 1881) of Darlington and Morris Simpson (1808 – 1888) of Leeds established a curriers shop, to process leather for shoemaking, on Kirkgate, Leeds in 1834. Boots were manufactured from around 1840. Edward Simpson (1819 – 1904), brother to Morris, later joined the partnership. He was possessed of good judgement and a sound business mind. He was a genial, likeable man who stood over six feet tall. A keen Wesleyan Methodist, he was a Radical in politics. Morris Simpson left the partnership in 1844 in order to establish his own shoemaking business. Problems in sourcing sufficient skilled labour led the firm to open a branch factory at London Road, Daventry in 1844. Currier work began in Leicester from 1853, initially at Cank Street, before relocating to Belgrave Gate. Stead & Simpson was best known for the manufacture of footwear by 1855. The firm employed 314 workers in 1861. Stead and Simpson each introduced a nephew to the business in 1863; Henry Simpson Gee (1842 – 1924) became the factories manager, and Richard Fawcett (1828 – 1889) was enlisted as a salesman. Gee constructed new factories and was a pioneer in the introduction of steam-powered machinery in shoe and boot manufacture. He was a man of clear vision and gifted with an immensely practical nature. The growth of business saw a new factory erected at New Street, Daventry in 1866. The first retail shops were opened in the early 1870s. The earliest branches were at Carlisle, Whitehaven, South Shields and Sunderland. Stead, Simpson & Nephews was the largest footwear manufacturer in the world by 1875. The firm employed 1,216 workers in Leicester, 505 at Leeds, 500 at Daventry, 100 at Northampton and 80 at Oakham. 25,000 to 30,000 pairs of shoes and boots could be produced each week, including 5,600 pairs in Leeds. Company headquarters had been relocated to Leicester by 1884. Joseph Griffin Ward (1843 – 1915) and John Lipson Ward (1847 – 1926) entered the business as partners. There were retail shops in fifty towns across Britain by 1884. Over 3,000 workers produced over 30,000 pairs of boots and shoes each week. The Leicester factory at Belgrave Gate was destroyed by fire in 1886, with damaged estimated at £36,000. 1,500 people were temporarily thrown out of employment. Edward Simpson, the senior partner, retired in 1887. Following the death of Richard Fawcett in 1889, the firm became too large for the remaining partners, and was converted into a public limited liability company, Stead & Simpson, with a capital of £300,000. The entire business, including goodwill, was valued at £268,000. The head office was located on Belgrave Gate, Leicester. Henry Simpson Gee was the senior partner, and he became company chairman. J G Ward and J L Ward, the other two partners, were appointed as joint managing directors. 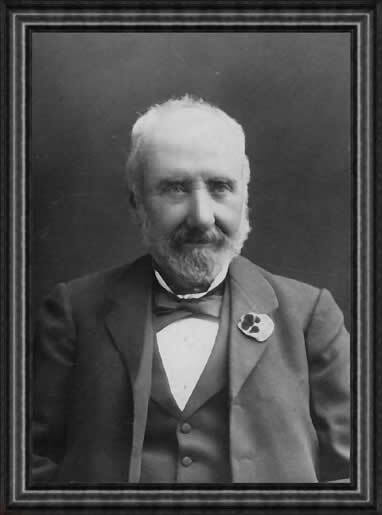 Edward Wood (1839 – 1917), the chairman of Freeman Hardy & Willis, shoe retailers and manufacturers of Leicester, also joined the board. There were about 100 retail shops by 1889. The Leeds tanning and currying business was discontinued from 1892, and the capital was utilised to extend the retail arm of the business. Harry Percy Gee (1874 – 1962), the son of Henry Simpson Gee, joined the board of directors from 1898. He was subsequently appointed managing director. Henry Simpson Gee was raised as a Wesleyan Methodist, but switched to Anglicanism in his later years. He died in 1924 with an estate valued at £659,699. He died as one of the best known businessmen in the Midlands. His largest charitable bequest was £20,000 to Leicester College, later the University of Leicester. He was succeeded as company chairman by Harry Percy Gee. There were 250 retail shops by 1934, including 115 freehold leases, with a total value of around £500,000. There were 1,067 factory workers, 168 warehouse and clerical staff and 1,130 shop managers and assistants, a total staff of 2,365. Harry Percy Gee retired as managing director in 1958, but remained as chairman until his death in 1962. His obituary in The Times heralded him as the “greatest benefactor the University [of Leicester] ever had”, and it was his generosity in the 1930s that enabled its survival. Gee left a net estate of £484,771. Stead & Simpson owned 223 retail branches by 1963. The company branched out into car dealerships in the Leicestershire area from 1966. Stead & Simpson closed its shoe manufacturing operations in Daventry and Leicester in 1973 with the loss of 400 jobs. The company announced that it would concentrate on its retail business of over 200 shops. UDS Group acquired 16 percent of the company in 1974. Hanson Trust acquired UDS Group in 1983, and with it control of 29.1 percent of voting shares in Stead & Simpson. The shoe retailer Ward White acquired the 29.1 percent voting stake in Stead & Simpson from Hanson Trust for just under £2 million in 1984. By this time the company had 240 shoe shops. Ward White sold its stake to Tozer Kemsley and Millbourn for £3.6 million in cash in 1987. Stead & Simpson was acquired by Clayform Properties for £120 million in cash in 1989. Stead & Simpson was bought out by its management for £50 million in 2005. By this time the firm had around 400 stores. Stead & Simpson entered administration in 2008. It was acquired by Shoe Zone of Leicester. 309 stores were retained, whilst 37 were closed. A further 90 shops were closed in 2012. Freeman Hardy & Willis was the largest footwear retailer in the world. Edward Wood (1839 – 1917) was born in Derby to a railway engine driver father. As was typical for the era, his schooling ended at the age of ten. Wood relocated to Leicester, where he initially worked as an errand boy. He was then apprenticed to a draper and outfitter. He worked as a hatter and hosier by 1861. Wood began manufacturing shoes and boots from 1870, when he joined two relatives by marriage at premises on Marble Street. By the following year he employed seven men and one boy. Wood succeeded due to a keen business sense and a high standard of integrity. Freeman Hardy & Willis was incorporated in 1876. Wood appointed as company directors Arthur Hardy, an architect, William Freeman, his factory manager, and Willis, his salesman. In 1877 the first retail outlet was opened at Wandsworth, London. Wood employed 55 men by 1881. The wholesale business was divested from 1879. Freeman Hardy & Willis was the largest footwear retailer in the world by 1900. By January 1903 there were about 300 shops, mostly located in the Midlands and the North of England. Freeman Hardy & Willis acquired Rabbits & Sons Ltd of Newington Butts, shoe retailers with a large presence in the South of England and London, in 1903. Edward Wood was knighted in 1906 in recognition of his philanthropy and civic work. A dedicated Baptist, he served as Mayor of Leicester on four occasions. Foreign-made shoes accounted for just one percent of sales in 1910. The Kettering Boot & Shoe Co Ltd, a manufacturer, was acquired in 1913. Freeman Hardy & Willis was massively profitable during the First World War due to army contracts. Wood died in 1917 with an estate valued at £172,649. He left charitable bequests of over £23,000. Freeman Hardy & Willis operated 428 shops in 1921. There were 500 shops by 1923. The Leicester firm of Leavesley & North Ltd was acquired in 1925. The Charterhouse Investment Trust, controlled by Sir Arthur Wheeler (1860 – 1943), acquired Freeman Hardy & Willis in the 1920s for over £3.5 million. Freeman Hardy & Willis was sold to J Sears & Co of Northampton for over £4 million in 1928. Sears was a similar business, and the merged firm had 796 shops and a combined market value of £9 million. Charles Clore (1904 – 1979) acquired control of J Sears & Co in 1953 in one of Britain’s first hostile takeovers. Clore immediately removed the existing chairman and managing director of Freeman Hardy & Willis. Later in 1953 he sold much of the freehold FHW estate, and leased the premises back. From the 1960s until the 1990s Sears held around a quarter of all British shoe sales. Sears divested its shoe factories in a management buyout in 1988. By 1990 Freeman Hardy & Willis was aimed at the 15 to 30 market, and located in prime retail sites. However the chain was loss-making. 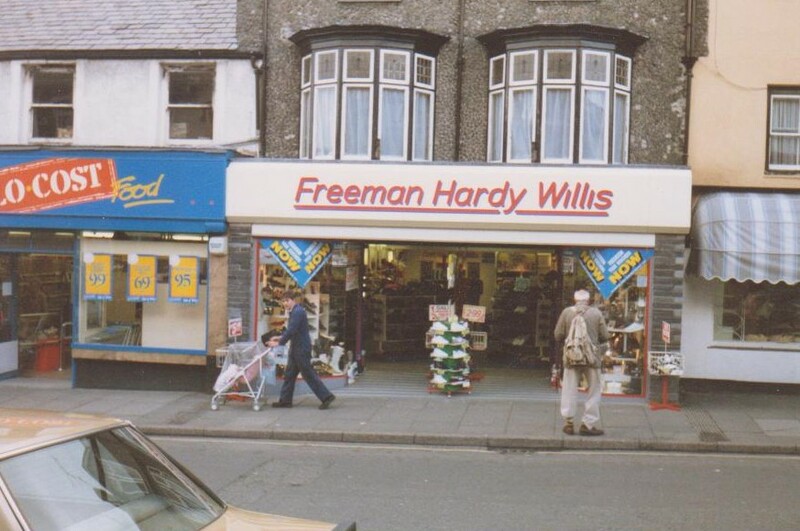 245 Freeman Hardy & Willis stores were sold in 1995 to Facia, a private retailer, for £3 million. 60 stores were retained by Sears, and converted into other shoe retail formats. Facia converted the Freeman Hardy & Willis brand to other retail formats.